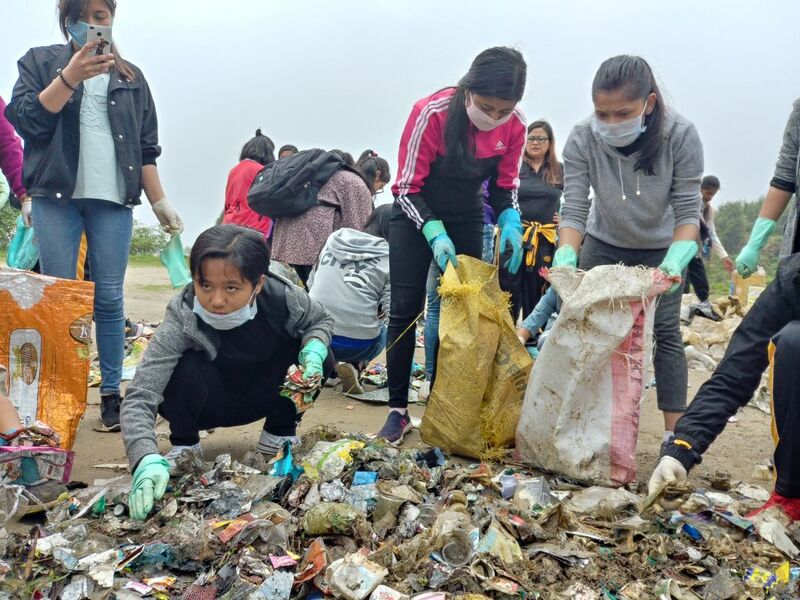 The Padmaja Naidu Himalayan Zoological Park (PNHZP) in Darjeeling is all set to become the first zoological park in India to be home to rare Mishmi takin. In an exchange program, five Mishmi takins, which include three males – Charles, Danny and Rock 7-month-old, 2 years 10 months old, and 1 year 3 months old respectively, and two females – Claire and Ramona 2 years 9 months old and 12 months old respectively are being sent from Berlin Tier Park Zoo. In exchange, PNHZP Darjeeling has sent two red pandas. The Mishmi takin is an endangered goat-antelope native to India, Myanmar and China. It is a subspecies of Takin. The Mishmi takin lives in Northeast India and eats bamboo and willow shoots. It has an oily coat to protect it from the fog However, their exact number in India is not known. 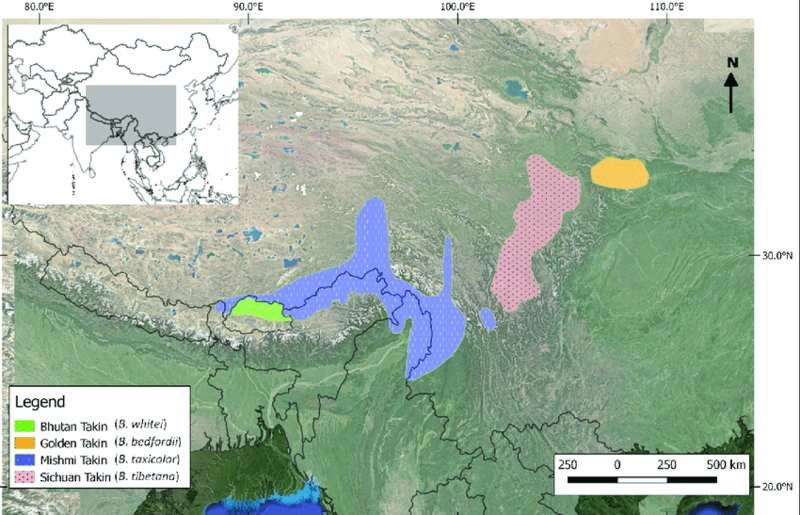 PNHZP will host 5 Mishmi Takin, here is the current distribution status of Mishmi Takin, marked in blue. Via: Sangay et al. The five Mishmi Takins have arrived in India, and are on transit to Darjeeling by road. A Deputy Director from Berlin Zoo and a zookeeper is accompanying the Takins. They will be staying Darjeeling for four days to train the local zookeepers. We hope soon, people will be able to welcome these amazingly mysterious creatures in our hills, which has some of the richest biodiversity on earth. 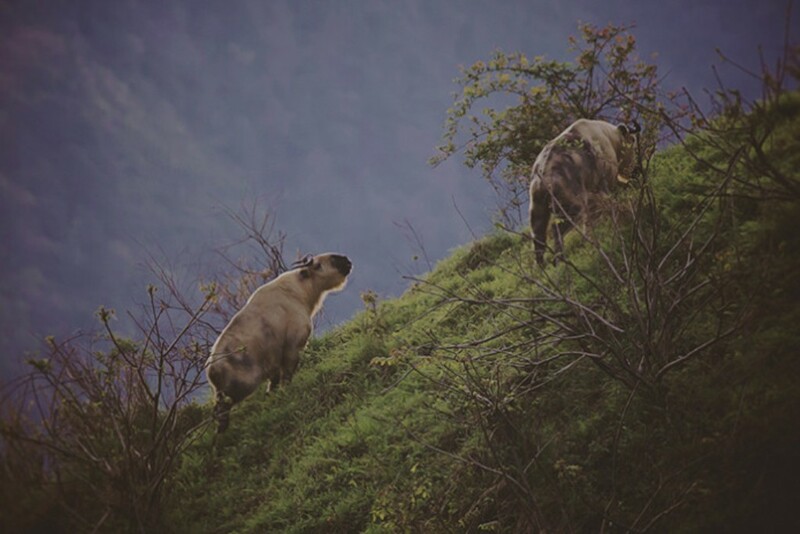 Be the first to comment on "PNHZP in Darjeeling – First Zoo in India to Host Rare Mishmi Takin"